An aluminium system with a double slotted side wall mechanism that allows for separate access points for doors, hinges and internal elements. Various widths and depths are available. Wall faced and free standing as room divider. Units can be either floor to ceiling or low height. 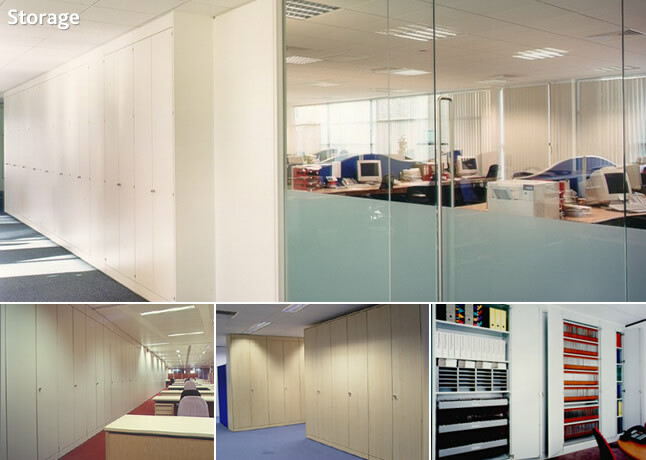 Melamine resin to both sides of panel which are highly resistant to damage. Doors have 3 point espagnolette locking system for strength complete with removable locking barrel as standard. Steel Combination shelves and Roll out filing frames which will accept either A4 or Foolscap filing.